This summer was our dog Ellie’s first time in the water and we had a blast teaching her how to swim. 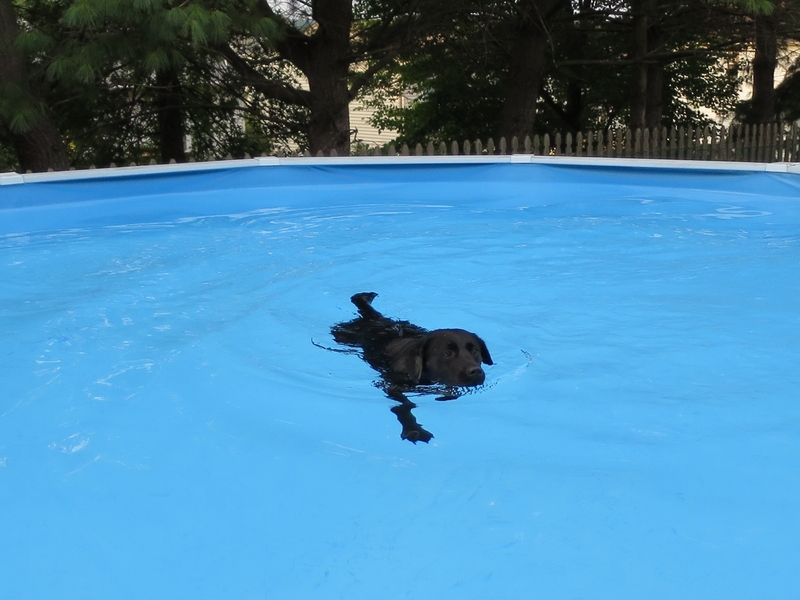 Check out a few of our pointers for teaching your dog how to swim safely. 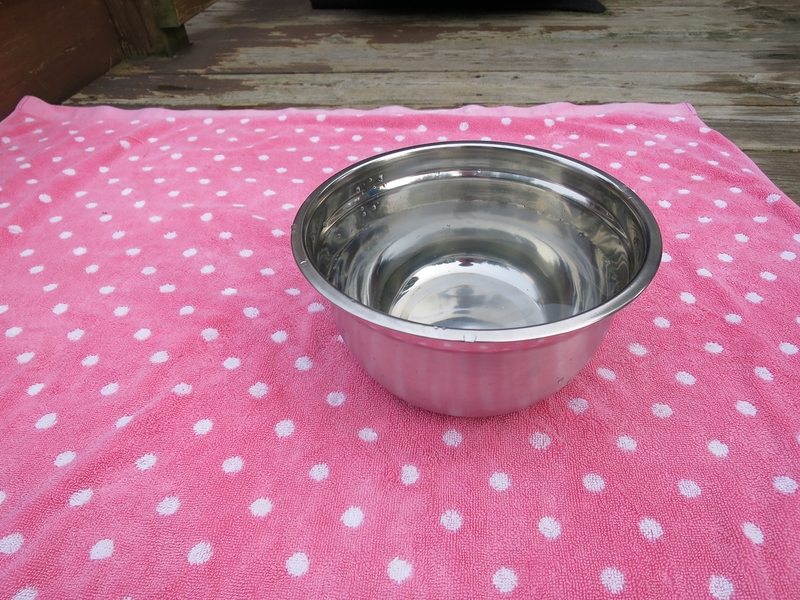 First things first: make sure your pooch has plenty of water available outside. 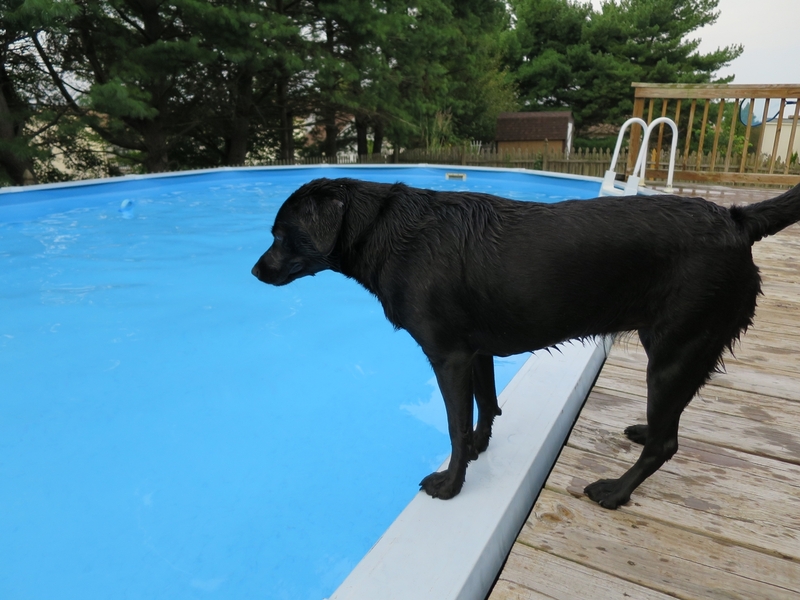 It sounds like a no-brainer but it’s good to have the drinking water out before playing so your dog won’t be temped to drink any of the pool water. 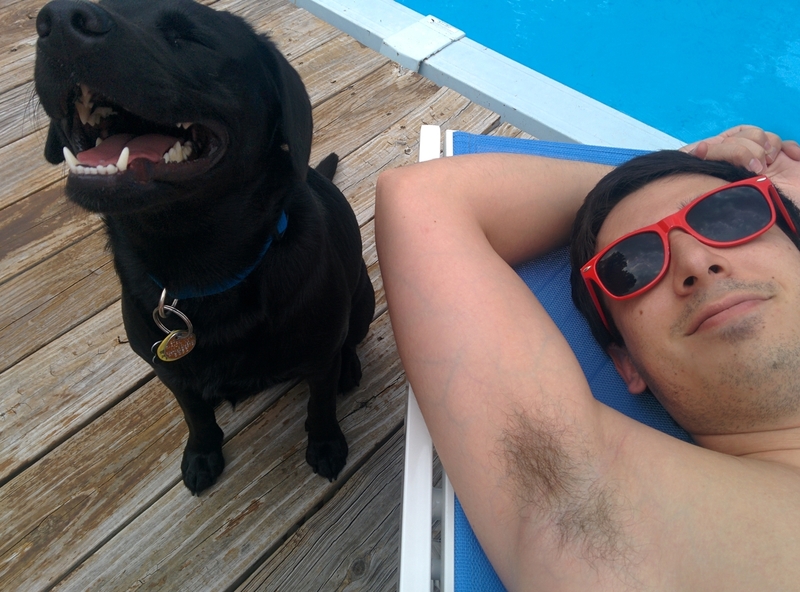 Show your dog the pool and what’s in it. 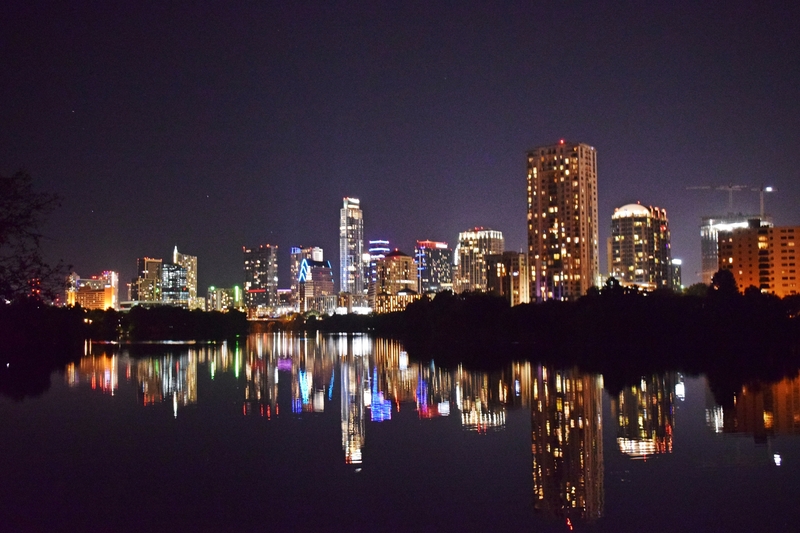 The reflection and surface might be puzzling to her at first so get in slowly and demonstrate that it’s a safe place. Avoid loud noises and big slashes at first just in case your dog is apprehensive. 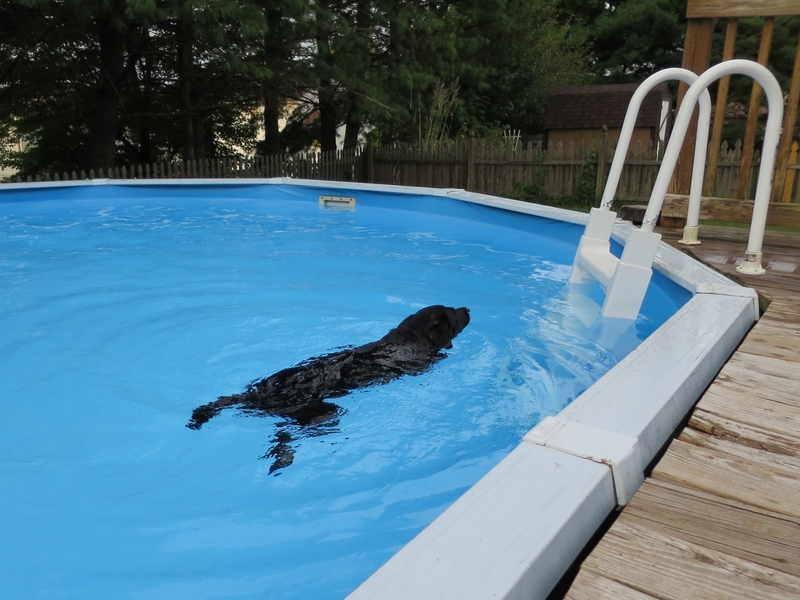 Your dog might torpedo in the pool right off the bat but most dogs will be cautious initially. 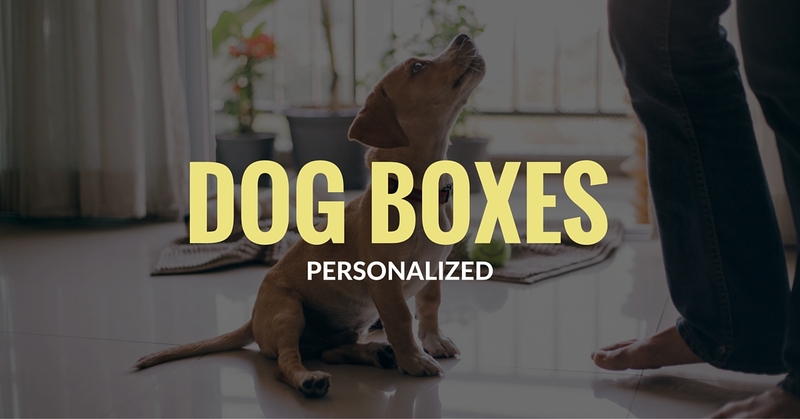 The best thing to do is show your pup a way to ease into the new environment. 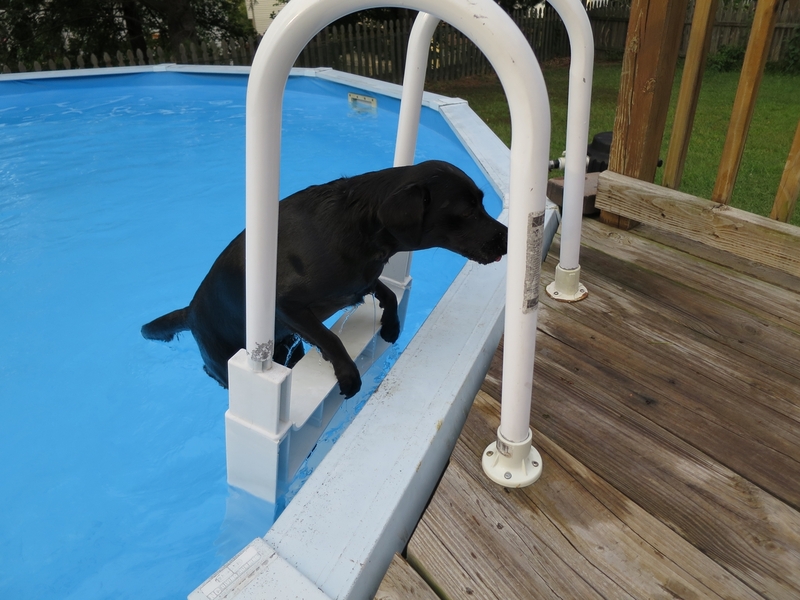 When first learning, get in the pool and coax your pooch from the steps or other entrance. Offer open arms and speak in a soft, praising voice to let her know that she is going to be a-ok if she makes the next step. Be patient with your pooch and never scare her. Just keep praising and rewarding her to let her know she’s a badass. She will eventually get more comfortable testing the water. 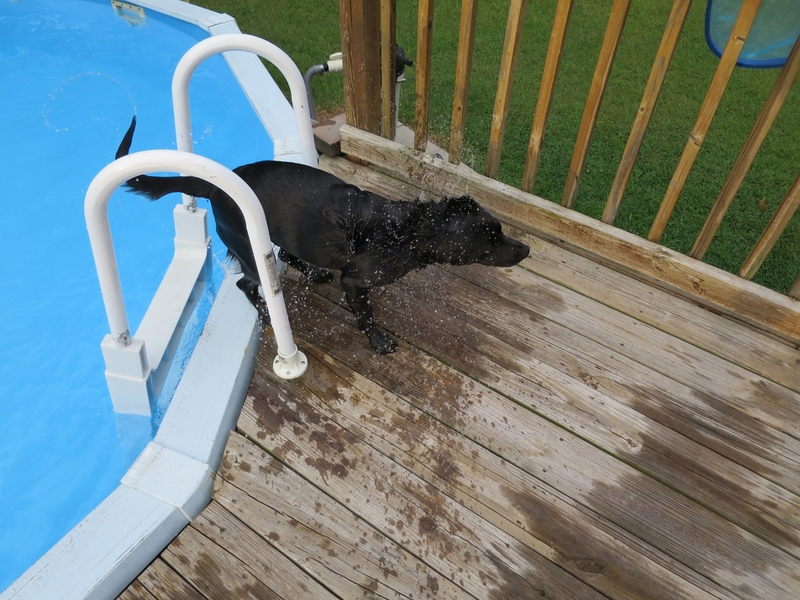 If your dog finally takes the dive let her know that what she did was totally acceptable and fantastic. 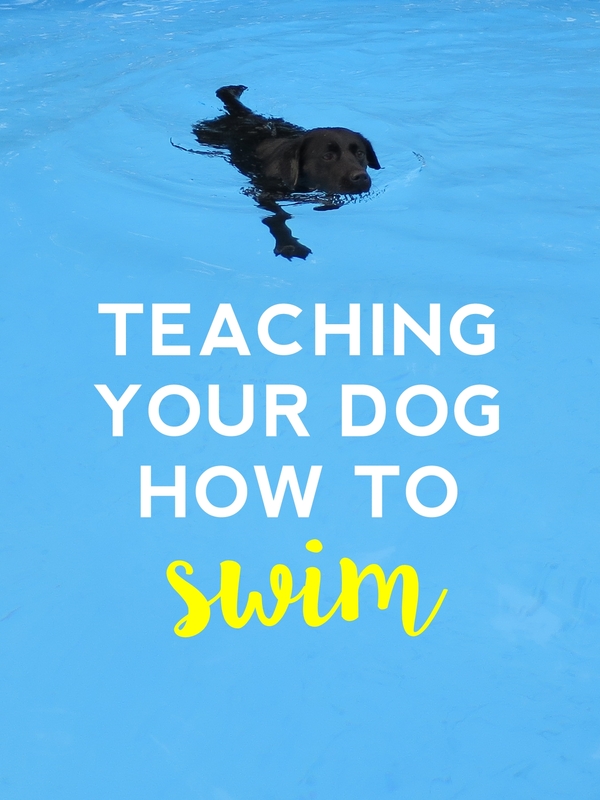 Your dog will probably be having a great time once she is actually swimming about but it’s very important to show her how to properly exit the pool. 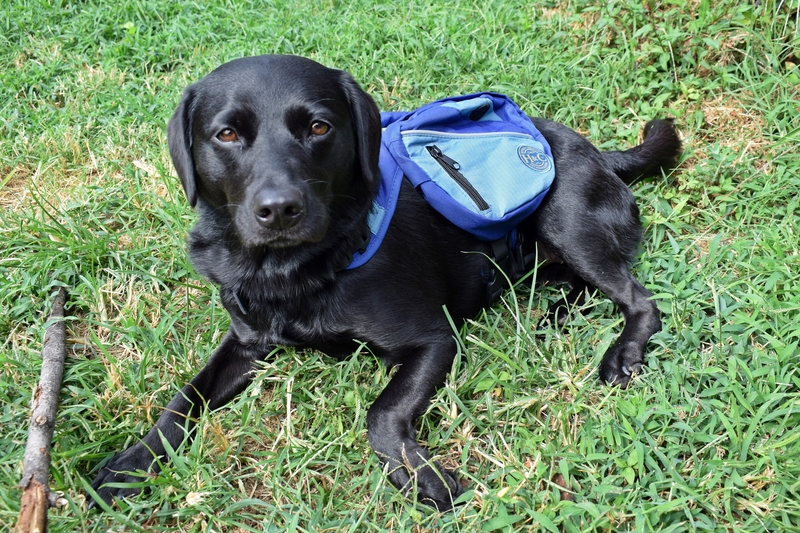 Show her to use the steps and practice going up and down them until you dog no long needs assistance from you. 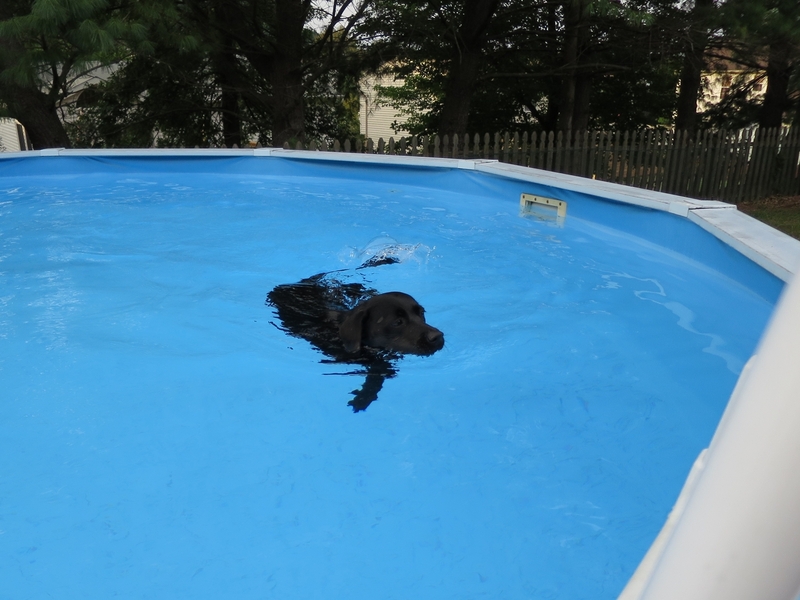 A great way to continue encouraging your water-bound pooch is to make swimming fun. 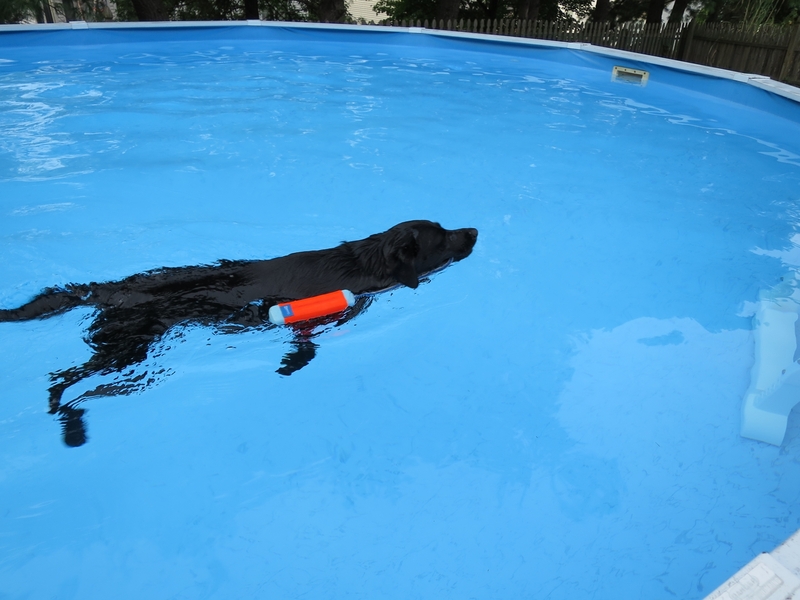 If your dog loves to play fetch, pick up a floating toy for the pool. 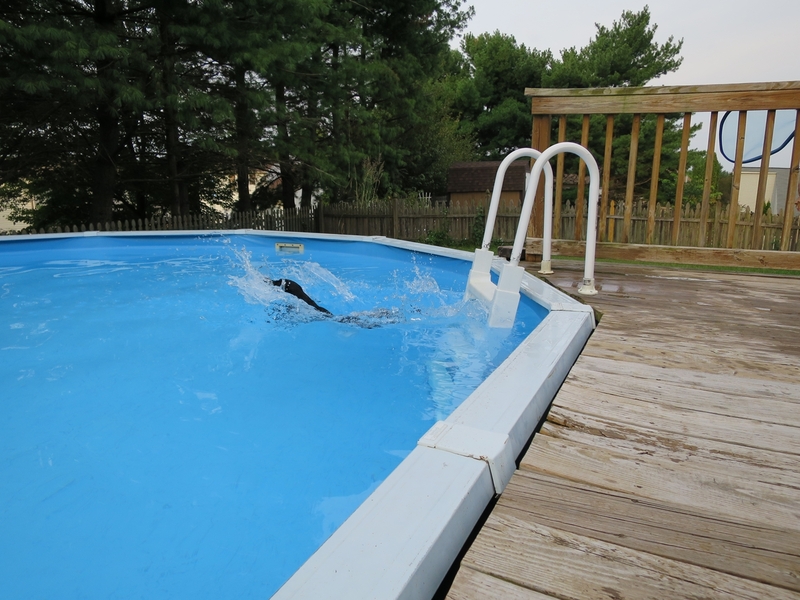 Ellie loves diving in to retrieve her strange tampon-like floating dog toy and playing keep-away in the pool. 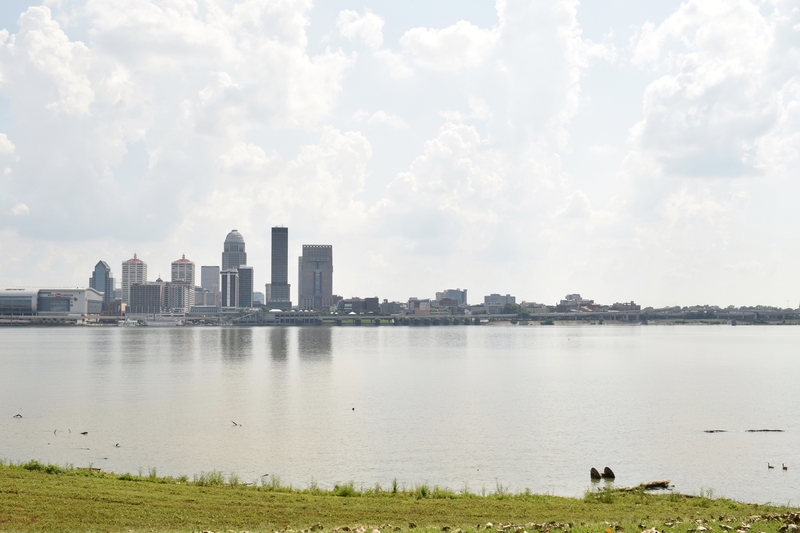 Never force or throw your dog into the water. 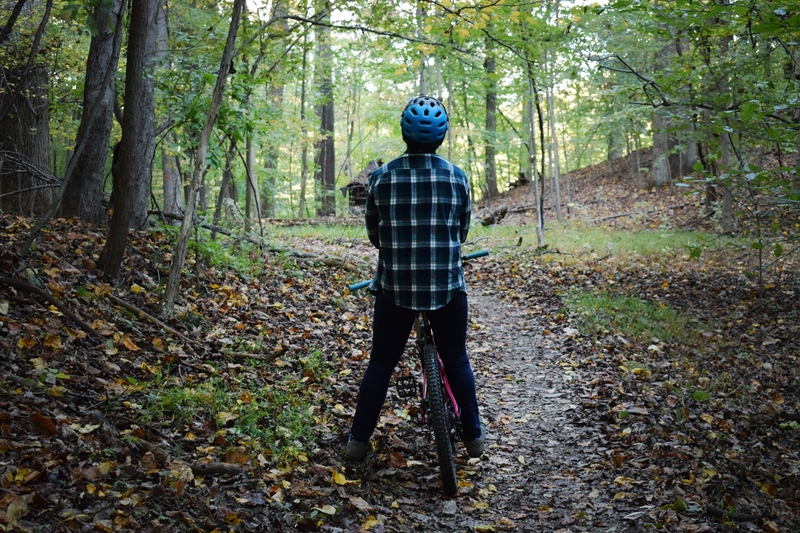 It might make her fearful of the whole experience. 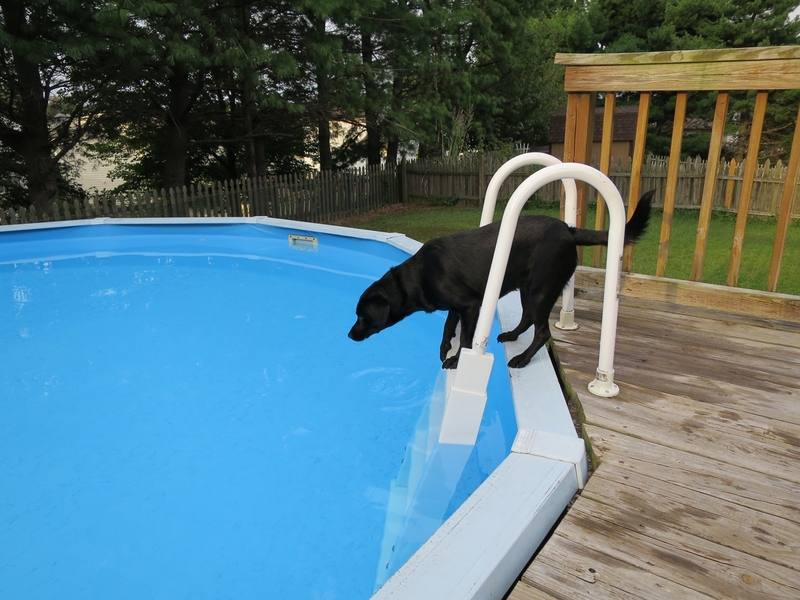 Most dogs have an instinctual ability to swim (doggie paddle, duh) but some dogs don’t care for the water. Again, don’t force your pup to participate! Always inspect your dog’s ears after a swim. Dogs can easily get ear infections due to moisture especially dogs with those adorable floppy ears. Be supportive and vigilant with your dog during swim time. She should never be left alone in a pool without her human counterpart. 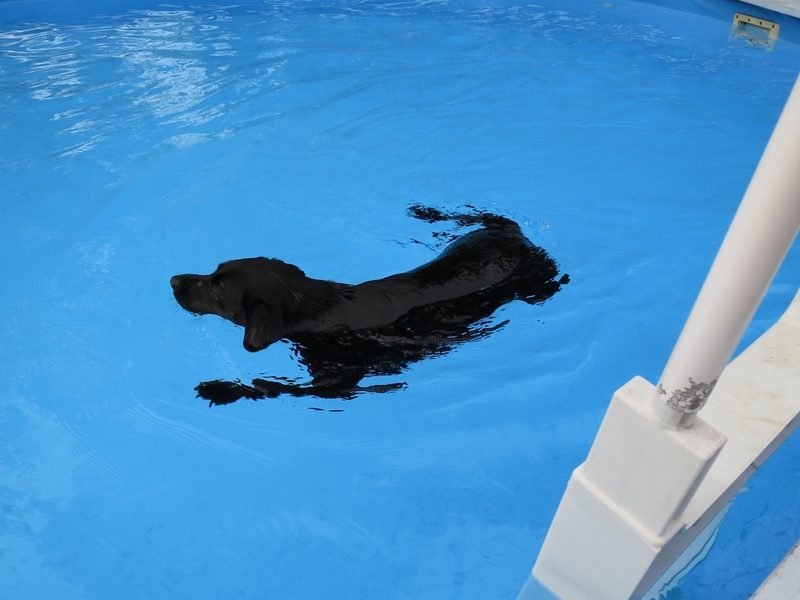 As always, consult your vet if you have any questions or concerns about your dog’s safety and ability to swim. Comment below with your favorite tips! Awww! So cute! One of my dogs hates the water, I’m looking at you Bane! The other is half Lab and she will only go as far as she can stand. Such dorks!